Following the foiled terror plots in Europe, masterminded by Iran Ministry of Intelligence and Security (MOIS), on nov19, 2018 a conference was held at the European Parliament in Brussels. 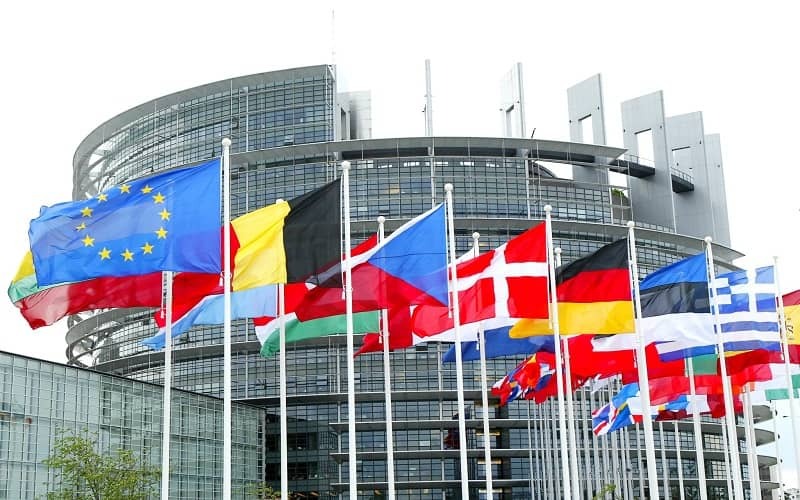 150 MEPs from six major political groups in the European Parliament, who represent 27 EU member states, demanded to hold the Iranian regime accountable for its unacceptable behaviors and called for expelling Iran intelligence agents from EU. The signatories include 4 vice-presidents of the European Parliament and 14 committee and delegation chairs. They criticized the current EU approach towards Iran; “The EU’s silence in the face of brutal human rights violations in Iran and lack of any response to the serious terror plots in Europe is unacceptable”. We are very worried about the deteriorating situation of human rights and repression of women in Iran. The country has maintained the highest number of executions in the world per capita during the presidency of the so-called “moderate” Hassan Rouhani. According to Amnesty International’s Global Report on the Death Penalty, more than half of all recorded executions in 2017 took place in Iran. It is also the leading executioner of underage offenders. Women are frequently harassed by morality police for the way they dress, and hundreds of women are arrested every day for improper veiling or “bad hijab”. Since late December last year, Iranian cities have been the scenes of major uprisings and anti-regime protests. The social atmosphere is volatile, and people demand fundamental change. The regime’s officials have acknowledged the role of “resistance units” of the opposition PMOI in organizing protests and nationwide strikes. Unable to defeat the protesters at home, the regime launched a new wave of terrorism against the democratic opposition activists in Europe and in the United States. In March 2018, a car-bomb plot targeting the Persian New Year gathering of Iranian dissidents in Tirana was foiled, and two men were arrested by the police. The Albanian government, host to nearly 3000 Iranian opposition refugees, should not permit Tehran’s agents on its territory. On 1 July 2018, German police arrested an Iranian diplomat from the embassy in Vienna and charged him with terrorist offenses. He was later extradited to Belgium, and he is on trial accused of handing over a highly-explosive device to an Iranian-Belgian couple who were planning to bomb the opposition NCRI’s Free Iran gathering in Paris in June. In August 2018, two Iranian agents were arrested by the FBI and charged with spying on the PMOI in the US and preparing assassination plots. In October, the French government officially sanctioned Iran’s Ministry of Intelligence and accused it of being behind the Paris bomb plot. French ministers stressed: “This extremely serious act, which was intended to take place on our soil, cannot go without a response”. Denmark foiled a new Iranian terror plot on its soil in October. The EU’s silence in the face of brutal human rights violations in Iran and lack of any response to the serious terror plots in Europe is unacceptable. We must hold the Iranian regime accountable for its terror plots and expel Iranian Intelligence Ministry operatives from Europe. We must also condition our relations with Iran to an improvement of human rights and women’s rights, and a halt to executions. The Iranian regime is the center of terrorism in the region. The mullahs are testing western governments. In such circumstances, a lack of resolve or a passive attitude by western governments will intensify the regime’s terrorist actions. Expelling Iran intelligence agents is the best response to the State-Sponsor of terrorism in the world. Why are teenagers being executed in Iran? Governments should not remain silent! All of the Iranians demand to designate the Ministry of Intelligence and Security of Iran as a Foreign Terrorist Organization. Iranians have shown that they will not satisfy except Regime Change. And regime change in Iran is within reach with standing along Mrs. Maryam Rajavi and MEK/PMOI members. 150 MEPs recall for expelling Iran Intelligence agents from EU, This is the time for Federica Mogherini to pay attention to this demand and the security of the EU members states.